One thousand, two hundred miles away from the mass shooting unfolding at Santa Fe High School in Texas, students in Parkland, Fla., were struggling to process the footage they watched Friday. In teacher Jeff Foster's AP Government class, what was supposed to be a celebration of the seniors last day at school quickly turned into a painful reminder of their own horrific experiences. "When I was watching the news on my computer, I made the conscious decision to put it on the big screen and plug in the audio," Foster told NBC News after the Texas shooting. "Everybody stopped what they were doing and watched it. "The students all seemed to be in disbelief and angry. Watching them, you could see, looking into the kids' eyes, you could see them remembering when they had cameras in their own faces three months ago." Law enforcement officers are responding to Santa Fe High School following a shooting incident in this Harris County Sheriff office, Santa Fe, Texas, U.S., photo released on May 18, 2018. Courtesy HCSO/Handout via REUTERS ATTENTION EDITORS - THIS IMAGE HAS BEEN SUPPLIED BY A THIRD PARTY. DEVELOPING: Student claims shooter used a, “sawed off shotgun and pistol” in today’s shooting at Santa Fe High School in Galveston Co.
Law enforcement sources told NBC News that nine students and one teacher were killed at Santa Fe High School in Friday's mass shooting — the highest death toll in a school shooting since the Feb. 14 masacre at Marjory Stoneman Douglas that left 17 students and teachers dead. In the wake of the carnage at that Parkland, Florida, school, a number of students launched a nationwide advocacy campaign to tackle the gun control issue and to register young voters to take the fight directly to pro-NRA politicians. But Foster said it's going to be hard for his students to not feel shaken by the latest episode of gun violence. "You go from saying, 'We won't let this happen ever again,' and then this happens," said Foster, whose 11-year-old and 6-year-old daughters reluctantly came to visit his school on Friday for the first time since the Feb. 14 mass shooting and were jarred by what they were seeing on the television news. "What do you say now?" 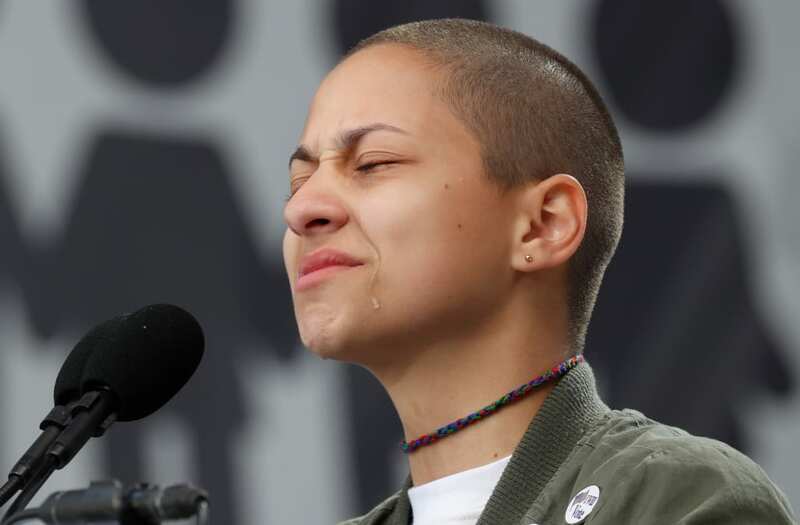 "Santa Fe High, you didn't deserve this," tweeted Parkland advocate Emma Gonzalez. "You deserve peace all your lives, not just after a tombstone saying that is put over you. You deserve more than Thoughts and Prayers, and after supporting us by walking out we will be there to support you by raising up your voices." "Get ready for two weeks of media coverage of politicians acting like they give a sh-- when in reality they just want to boost their approval ratings before midterms," tweeted Parkland survivor David Hogg. Foster said that many of the #NeverAgain advocates are spread across the country working on the campaign at the moment but that a meeting was already planned for tomorrow to discuss a voter registration drive. That meeting now is expected to take a different agenda. "When you see something like this, it can either dampen a movement's spirit, or it can bring more people into the movement," said Foster. Feel pain, grieve, be hurt and embrace it... but never give up hope. Things will be better. The world will be better.